Simon & Schuster, 9781476730752, 320pp. From Academy Award–winning producer Brian Grazer and acclaimed business journalist Charles Fishman comes the New York Times bestselling, brilliantly entertaining peek into the weekly “curiosity conversations” that have inspired Grazer to create some of America’s favorite and iconic movies and television shows—from 24 to A Beautiful Mind. For decades, film and TV producer Brian Grazer has scheduled a weekly “curiosity conversation” with an accomplished stranger. From scientists to spies, and adventurers to business leaders, Grazer has met with anyone willing to answer his questions for a few hours. These informal discussions sparked the creative inspiration behind many of Grazer’s movies and TV shows, including Splash, 24, A Beautiful Mind, Apollo 13, Arrested Development, 8 Mile, J. Edgar, Empire, and many others. A Curious Mind is a brilliantly entertaining, fascinating, and inspiring homage to the power of inquisitiveness and the ways in which it deepens and improves us. Whether you’re looking to improve your management style at work or you want to become a better romantic partner, this book—and its lessons on the power of curiosity—can change your life. "An excellent and very important discussion of economics... 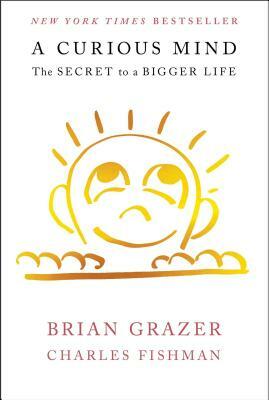 Readers would be wise to buy Grazer’s brilliant book."